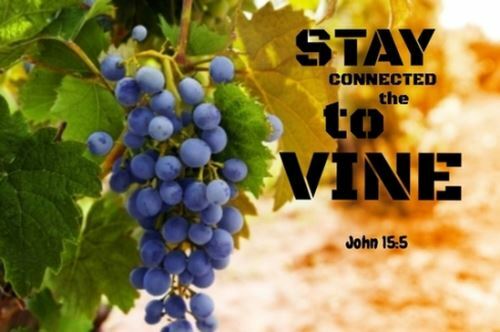 John 15:2 Every branch in me that does not bear fruit he takes away, and every branch that does bear fruit he prunes, that it may bear more fruit. John 15:3 Already you are clean because of the word that I have spoken to you. Spiritual Intimacywith Him produces Fruitfulness. I have created you to be a complex creature. As a created being your facilities include thoughts, emotions and perceptions that interrelate to your physical being and your spirit being. In the future, your imperfection will put on total perfection. Yes, an eternal, incorruptible body that will reflect the supernatural skills, character and resources of all that I Am. Part of the earthly transformation that is now taking place is the connection of your thoughts, emotions and perceptions to Me; on a much deeper level in both the physical and spirit. Are you able to bear My thoughts, My emotions, My Spirit and the tangible evidence of My Presence within You? I desire this and know that you can host My Presence on much, much deeper levels. I Am ready to lead you into deeper realms of My Spirit in the coming days. Notice, I didn't say push you into the deeper realms but lead you there. I need you to walk with Me and to embrace these deeper levels. Expect encounters with Me that will empower you, enrich you and transform you into My Image. The end of this present age is at hand. I want to clothe you with My glory. My Kingdom will become manifest on the earth. Come then. Take My hand and walk deeper with Me into the immeasurable, pure, delightful, Omnipotent, Omniscient Presence of your God and King. Seeking Me first will always result in your needs being provided. Trust Me with all things that concern you. The Lord is healing someone who is broken in heart and spirit. Fear, anxiety, betrayal and abuse is being lifted off of you and being replaced by His love, peace and affirmation. He will lead you by the still waters and restore your soul. The Lord is healing someone of Post Traumatic Syndrome. I command all traces of trauma to be removed from you. Receive healing now ... in Jesus' Name. The Lord is ministering to someone struggling with depression. He is healing you physically, emotionally and spiritually. The heaviness that you feel is lifting off of you now as His healing power restores you. I command depression to leave you and never return. The joy of the Lord shall become your strength. The Lord is ministering to someone who is in a time of grieving. His comfort, His embrace and love is flowing out to you now. Receive His tender touch upon your life as He leads you forward into better days. You are never alone. He is at your side. The Lord is healing someone with a pancreatic condition. Receive your healing now.... in Jesus' Name. The Lord is healing someone with a deep lung infection. (either Bronchitis or Pneumonia). The Lord is healing a man reading this with a serious prostate condition. All symptoms of this will dissipate in the next 24 hours. The Lord is healing bone joint conditions in several people reading this today. (Arthritis, bone spurs, Cartilage abrasions, work related joint stress and other injuries.) Receive your healing now... in Jesus' Name. The Lord is healing someone with diagnosed lumps in the chest area. These lumps will dissolve and shrink away.. in Jesus' Name. I evict them now. The Lord is healing someone with an anemic condition. Your body is lacking in essential minerals. The Lord is restoring your digestive system and bringing health back to you. Acts 10:38 God anointed Jesus of Nazareth with the Holy Spirit and with power. He went about doing good and healing all who were oppressed by the devil, for God was with him. 1 Corinthians 14:3 On the other hand, the one who prophesies speaks to people for their up building and encouragement and consolation. 1 Corinthians 14:4 The one who speaks in a tongue builds up himself, but the one who prophesies builds up the church. 1 Thessalonians 4:15 For we say this to you in the Word of the Lord, that we the living who remain to the coming of the Lord will not at all go before those who have fallen asleep. 1 Thessalonians 4:16 Because the Lord Himself shall come down from Heaven with a commanding shout of an archangel's voice, and with God's trumpet. And the dead in Christ will rise again first. 1 Thessalonians 4:17 Then we who remain alive will be caught up together with them in the clouds to a meeting with the Lord in the air. And so we will always be with the Lord. 1 Thessalonians 4:18 So, then, comfort each other with these words. Click on link above to visit our Financial Gateway to Sow a One Time or Monthly Sponsorship Gift. As of April 2019 this weekly Prophetic Word is emailed directly to people in 90 nations. Suriname is the most recent.